You can write on the walls in the classrooms at Buffalo Grove High School. I attended the EdCampChicago unconference held today at Buffalo Grove High School and one of the best take aways is the Google Document created before the event which was completed collaboratively during the day. This is normal procedure for many conferences and I would like to suggest that it could be used on Inservice Training Days or other personal development training sessions when several sessions are being held at one time. People in your district could see the notes others took and who attended each session in case they want to make further inquiries. Here are some things to consider including on your Google Document for your Inservice Day. QR code to the document on the document itself. The QR code can also be left on tables in a general gathering area, or anywhere people might be meeting. Any services provided by an outside source, such as lunch. and, most importantly, a link to another Google document, set up just for that session, where people can edit the form. In other words, each session has its own document, ready to use, when the participants enter the session. 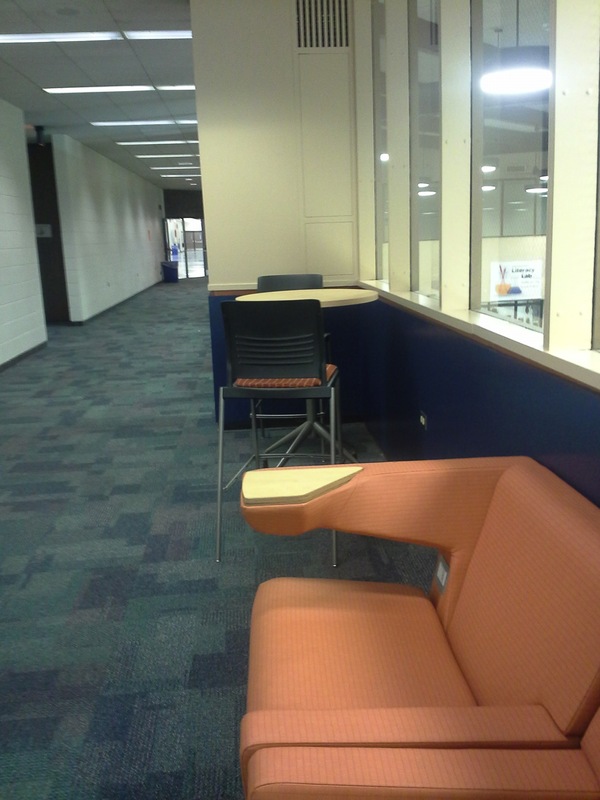 This hallway at Buffalo High School has couches with plug inserts for devices, and tall tables with chairs. I want to thank the organizeers and sponsors for making the day possible. Also, here is a big thanks and shoutout to the Buffalo Grove students who were on hand to guide us throughout the day. 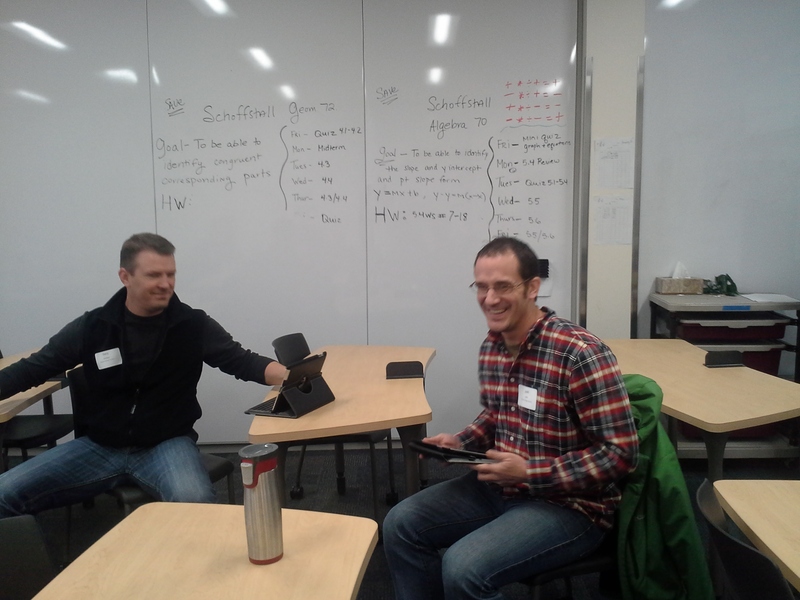 This entry was posted in QR Codes, Web 2.0 and tagged Buffalo Grove High School, unconference. Bookmark the permalink.